If you’re in the process of selling your home, there’s already a lot on your plate. But don’t forget this one important spring chore! Home ownership comes with a lot of unsavory maintenance work, but perhaps none more than the cleaning of gutters. 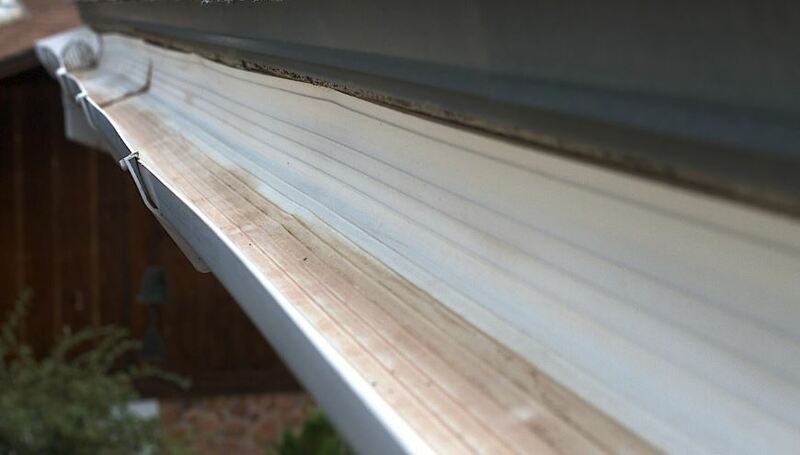 Gutters are not something people think about much until there is a problem – but they are actually crucial to the well being of your home. Most professionals recommend that gutters be cleaned twice a year – spring and fall, ideally- to clear them of debris, falling leaves, and bird nesting material. It may be an easy task to overlook or delay until another time, but that can bring disastrous consequences. Your gutters are in place to steer rainwater and snow melt away from your home’s roof and inner fascia (building materials under the roof). The downspouts are meant to allow drainage away from your home (preferably downhill) to avoid moisture making its way to your basement or crawlspace. Excess moisture near your home can bring pests, like termites and carpenter ants, as well as potential health problems, such as black mold. It can also destroy flower beds and look unsightly. Fortunately, well working gutters and downspouts avoid most of these problems, but the key is to maintain them. If gutters are allowed to become clogged with debris and leaves for several seasons, inadequate drainage will become a problem. It is not unheard of for non-maintained gutters to sprout vegetation, like trees, from the heavily-fertilized waste that lies and decays inside the gutters. It’s wise to check your gutters before you’re forecasted to get a big storm. It is much easier to clean dry debris from gutters than wet debris. In fact, wet and sludgy debris in gutters can be downright dreadful – slimy and with a terrible rotting odor. Safety is important. Don’t attempt to clean your gutters from the roof. It’s easy to fall especially when dealing with water and debris. A ladder is your safest bet – a sturdy, well made one, and it is best to have someone holding the base. Move the ladder often so you don’t have to lean out much. Lay a tarp under your gutters for easy cleanup – and then get to work with a good pair of garden gloves, simply grabbing and tossing the debris onto the tarp. Once you have gotten all you can with your hands, use a hose to flush the gutter, starting at the opposite end of the downspout. Have your spotter watch the downspout. If it’s just trickling, you still have a clog. If that happens, run the hose right at the opening of the downspout to clear it. Then throw the tarp with the debris away.